via Sideshow Collectibles, Inc. – The Terminator / Premium Format Figure. 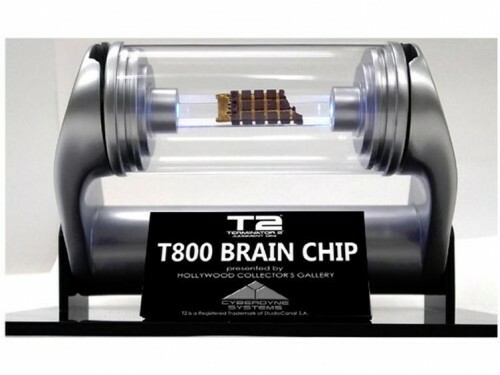 From Terminator 2: Judgment Day, comes this exciting new licensed prop – the T-800’s damaged brain chip. 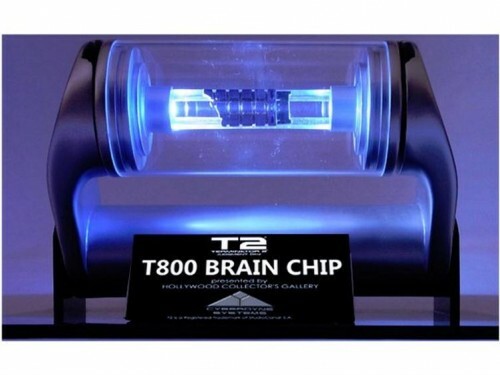 The brain chip was salvaged from the severely damaged Terminator from the end of the original Terminator movie, and provided the basis for all of the research and development carried out by Cyberdyne Systems. This brain chip was the key to the development of Cyberdyne systems weapons and robotics developments, that ultimately lead to Judgment Day! Comes complete with a themed light-up display base with a Cyberdyne Systems plaque. This is a must have for all Terminator fans and collectors! Limited to just 400 individually numbered pieces worldwide. Hot Toys is pleased to present the 1/6th scale Sarah Connor collectible figure from the Terminator 2: Judgment Day movie. 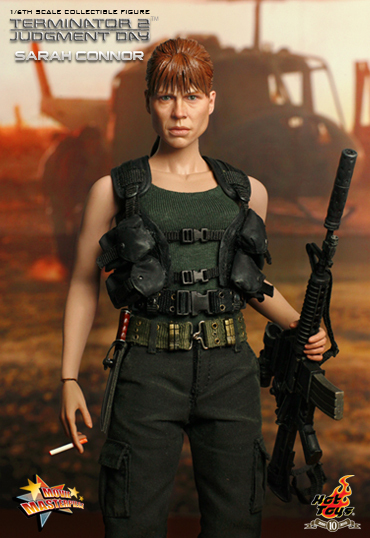 The movie-accurate Sarah Connor collectible is specially crafted based on the image of Linda Hamilton in the movie, highlighting the newly sculpted head and muscular arm, as well as detailed hair sculpture. via HOT TOYS – Products :: Licence :: Terminator 2: Judgment Day :: 1/6th scale Sarah Connor Collectible Figure. One of the most iconic characters ever envisioned, the Terminator was brought to life on the big screen through the artistry and imagination of James Cameron and Stan Winston. They faced a particularly difficult challenge with casting the central character, the T-800. The actor needed to have physical presence, and somehow convey true menace and purpose while remaining robotic and stoic. This Figure is Due Out in the 2nd Quarter of 2010.